The name of the Isleta Resort & Casino was branded the Hard Rock Hotel & Casino in 2010. On July 1, 2013 the name was changed back to the Isleta Resort & Casino. The casino is located south of Albuquerque on I-25. 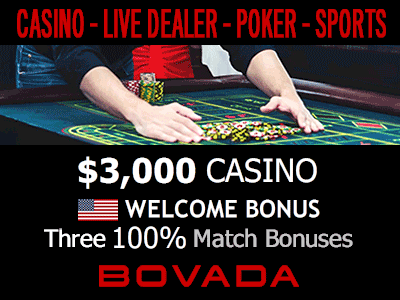 Bingo - see our Isleta Bingo page for more information. 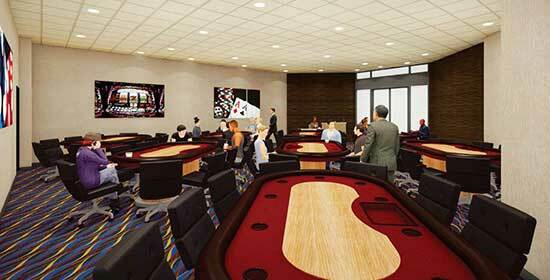 The new poker and bingo room projects have been completed at Isleta Resort & Casino. The grand openings have been scheduled to celebrate the new areas. On Thursday the new bingo room opened. Up to 400 guests can attend each session in the new area. Food service is available to players in the room. The celebration will continue on the evening session on Saturday. Two special sessions will be held where $10,000 will be given away. August 11 there will be a drawing for a 2018 Chevy Camaro. 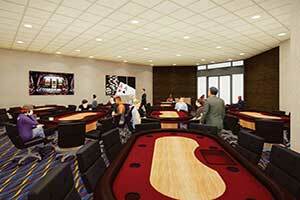 Also on Thursday a ceremony was held for the ribbon cutting to reopen the poker room. Special gaming promotions will be available to players until Sunday. Special drawings will be held during this time for players that are participating in live games or tournaments. On July 27 at 10 p.m. a celebration will be held for the newly renovated Triple Sevens. One change is the dance floor has been enlarged. Drink specials and live music will be available during the event. A renovation has also happened at the Isleta Showroom. New seating has been added. 400 guests will be able to attend shows at the venue. A new media system and sound system has been added. The stage for performers is larger. The date for the opening has not been announced. The renovation projects for the casino have totaled $40 million. The Isleta Resort & Casino is owned by the Pueblo of Isleta.